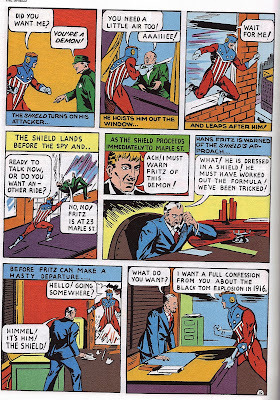 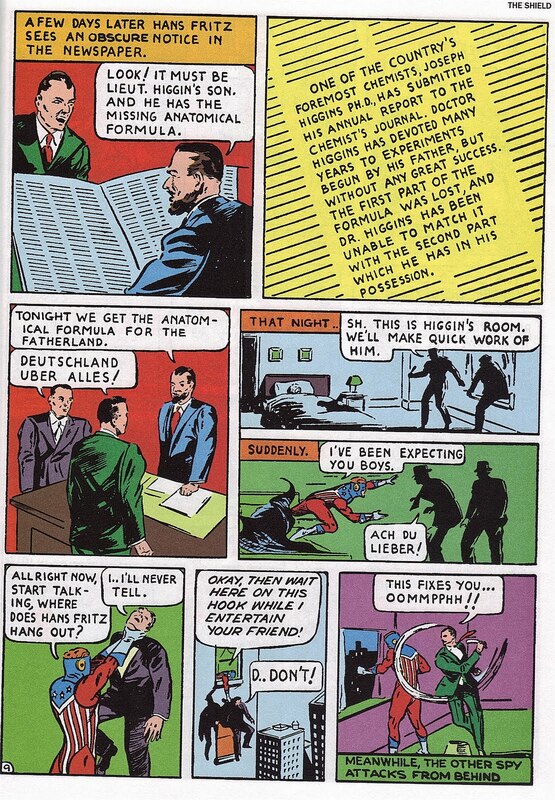 The Shield made his debut in January 1940 in Pep Comics #1 from MLJ Publishing. 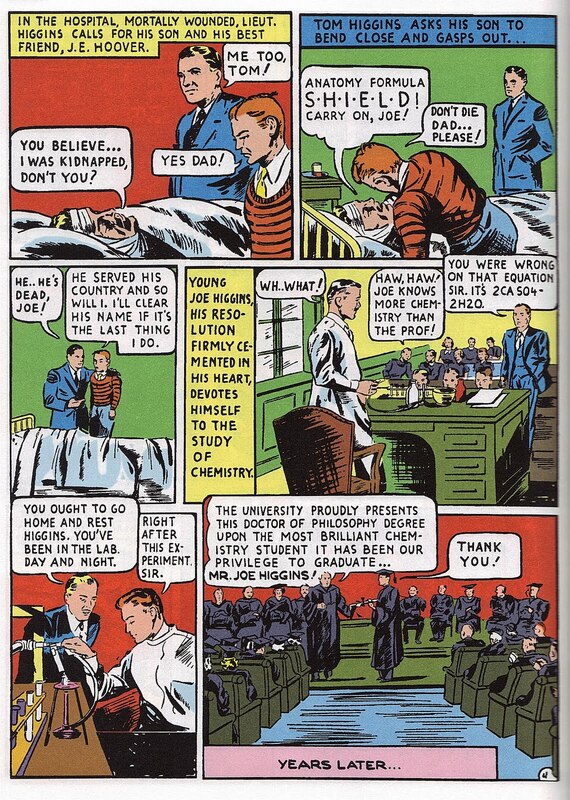 You might remember Pep as being the title where Archie Andrews would make his first appearance. 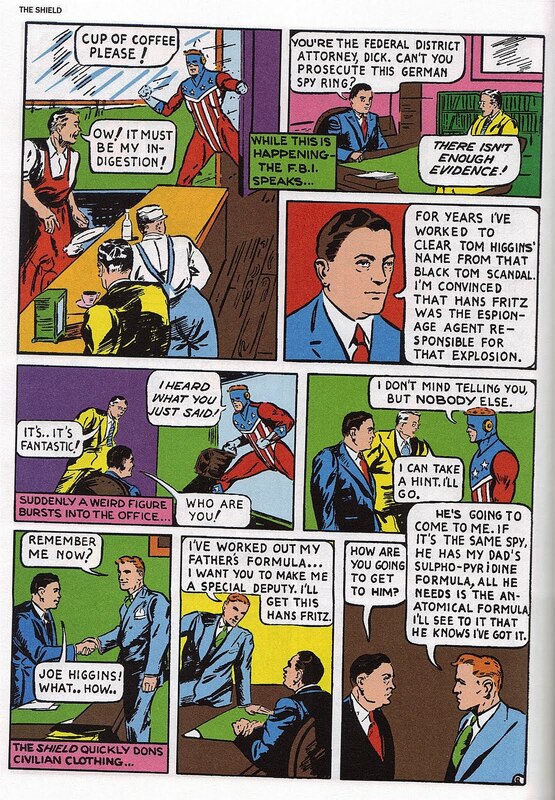 But before superheroes and detectives had to leave to make room for the down-to-earth humor of Archie and the gang, it featured The Comet, The Hangman and the Black Hood. 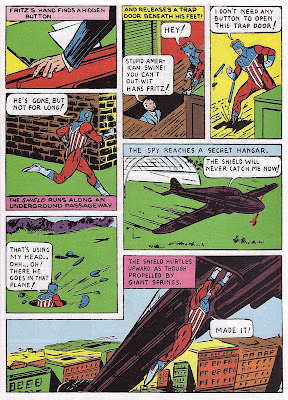 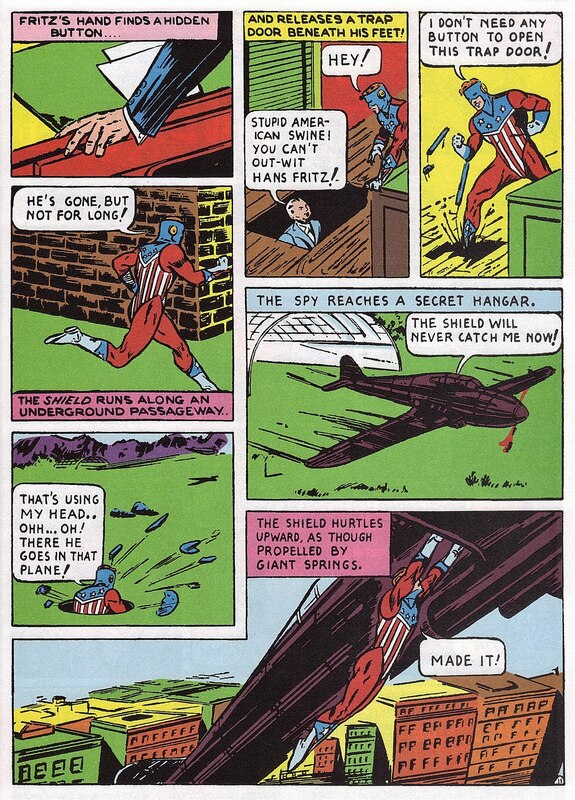 The Shield, in fact, was the first patriotic superhero. 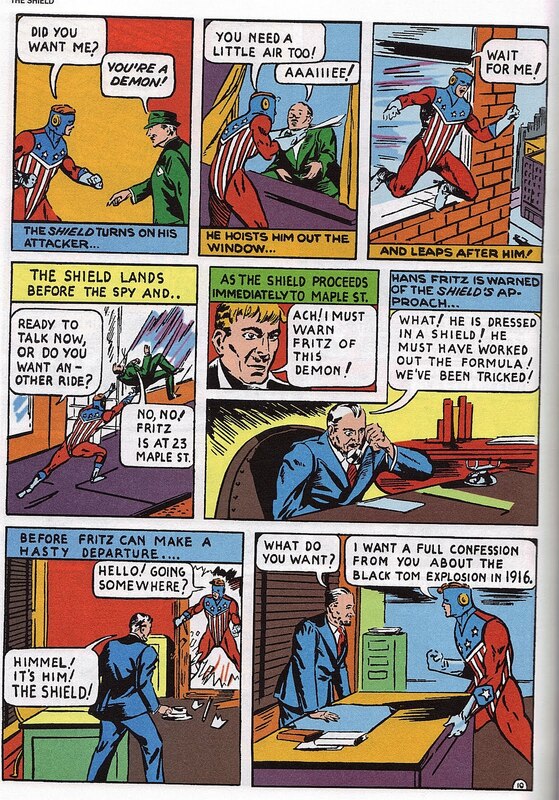 The Shield pre-dates Marvel's, then Timely, Captain America by fourteen months. 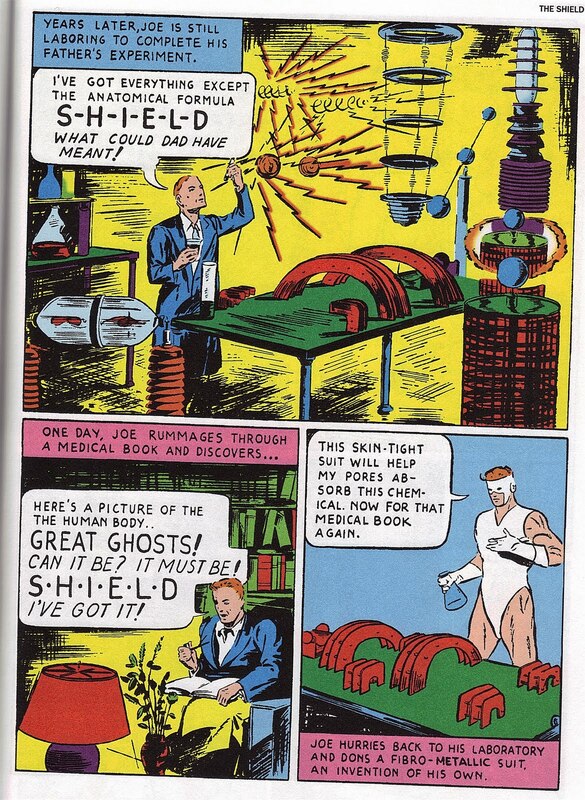 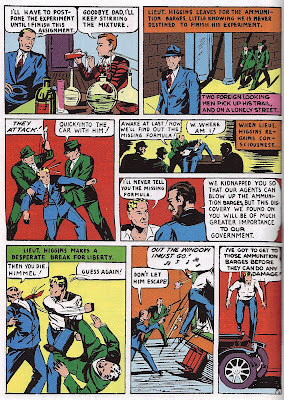 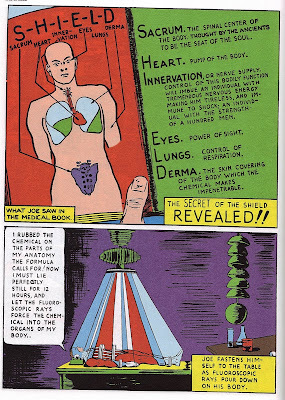 The Shield was Joe Higgins who created a formula for men to become superpowered. 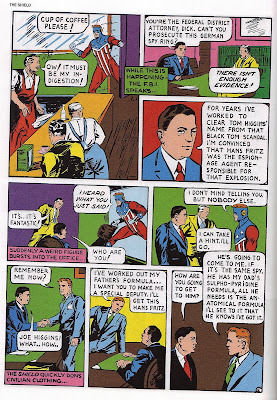 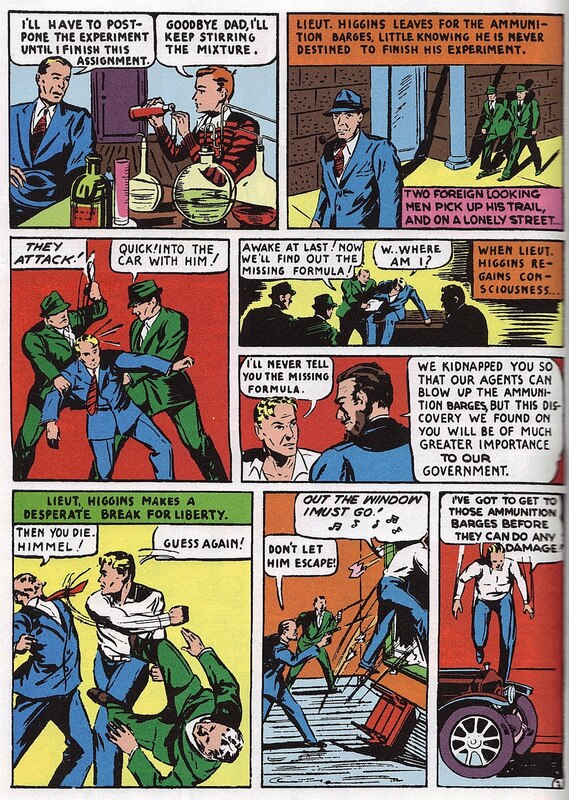 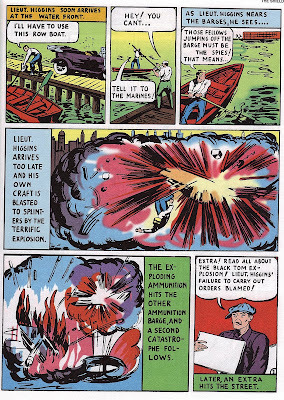 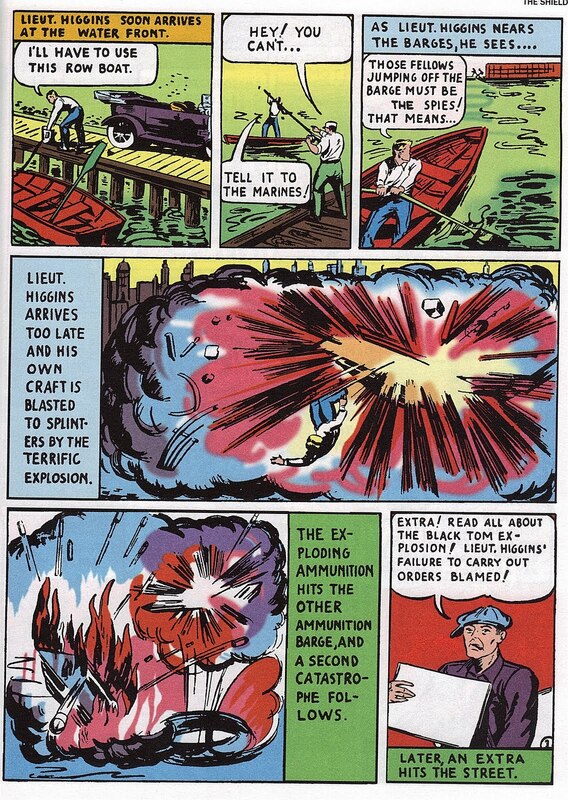 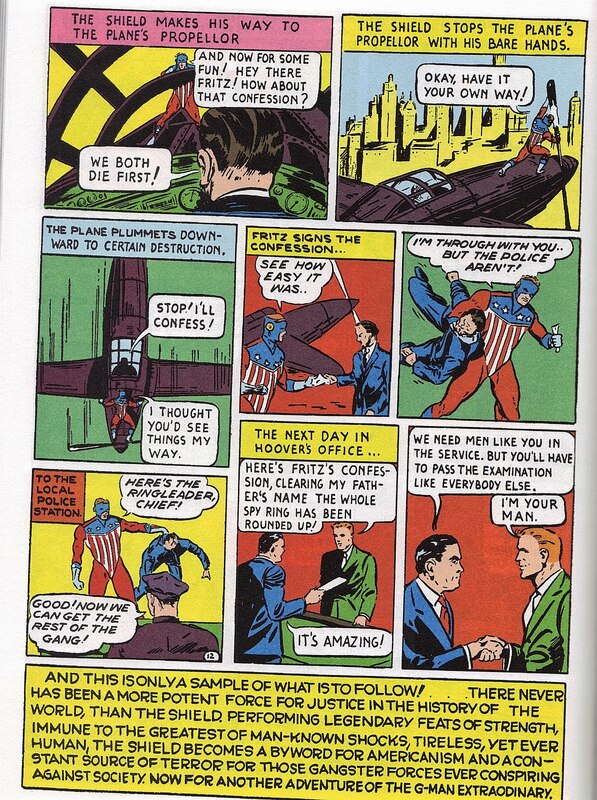 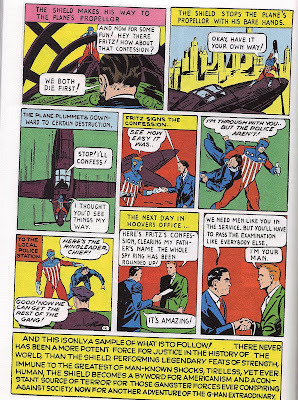 Why MLJ didn't sue the pants off Timely is beyond me because the origin seems oddly similar to Captain America's. 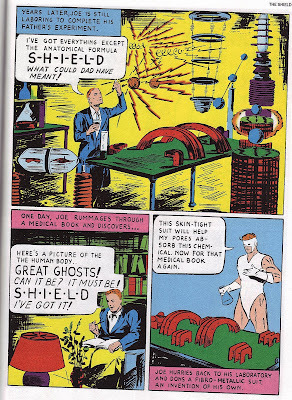 Had The Shield been owned by National Periodicals, Captain America would now be owned by DC because National sued everybody. 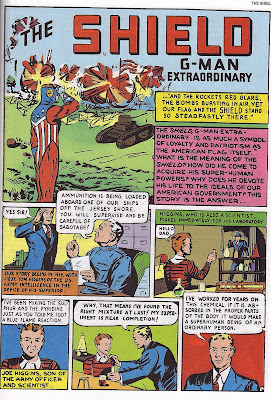 Archie would soon take center stage in Pep Comics in 1945 but the Shield would continue to appear in Pep until #65 (1948) and the superheroes originally by Archie Comics' founders would be used sparingly. 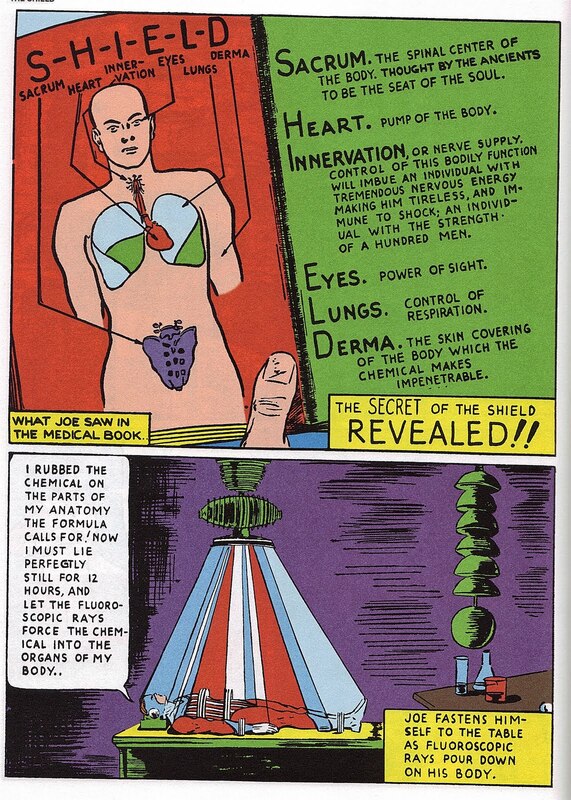 Once in the mid-1960s by Joe Simon and Jack Kirby, in the 1980s under Red Circle Comics and in the early 1990s under the DC Comics' imprint !mpact Comics. 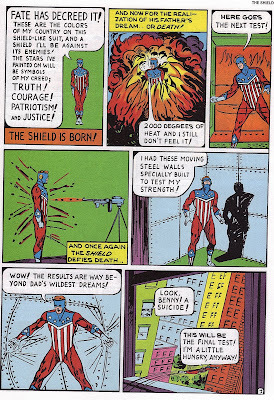 In 2009, The Shield was revived again for ten issues being published by DC. 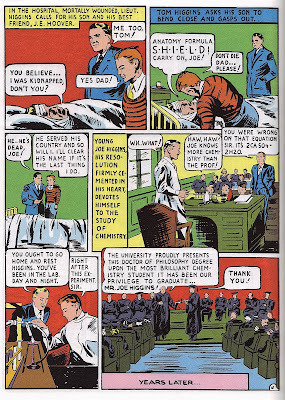 Published by MLJ Magazines, Inc.
All characters are trademarks and copyright (C)1940 Archie Comics, Inc. All rights reserved.